HOW TO SAVE ON WATER CONSUMPTION? Lime and corrosion can increase water consumption by up to 60%. 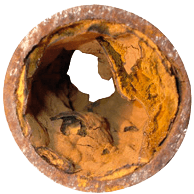 The solution (preventive and / or corrective) is Calcat®, a sustainable technology that solves the problems of calcification and / or corrosion that arise in installations that operate with water (plumbing, air conditioning, refrigeration, etc.). 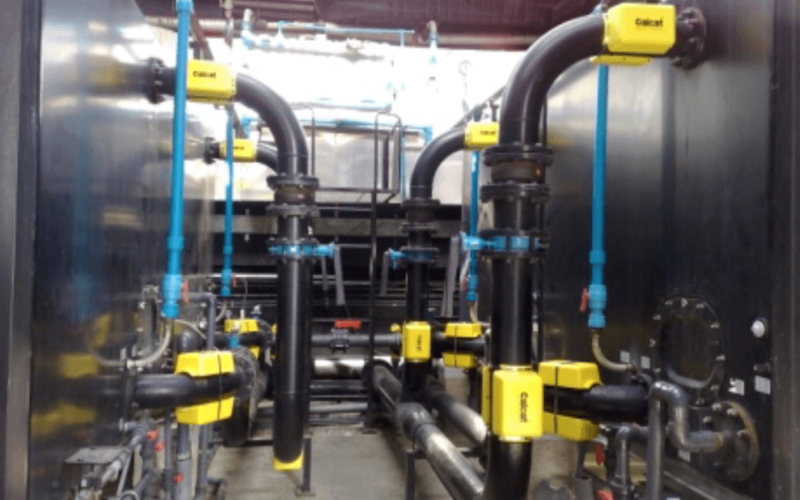 Its great effectiveness makes this technology an excellent alternative to other treatments of greater cost and negative environmental impact (chemical discharge, generation of pollutant rejections, maintenance, etc.). WHAT PROBLEMS CAN WATER GENERATE? The soft or low mineralization waters originate the formation of corrosion products in metals, which accumulate reducing the passage section of the pipe, causing pitting, breakage and weakening of the materials. HOW TO SOLVE THESE PROBLEMS?? 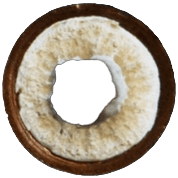 In comparison with calcification, the Calcat® treatment changes the crystalline structure of the calcium carbonate, avoiding that it remains adhered inside the pipes leaving by purges or points of consumption. In comparison with corrosion, the magnetic field causes a reorientation in the ions of the formed corrosion products, favoring their drag towards purges or points of consumption. Our technology brings numerous benefits to your business in a silent way and with amortization periods generally less than one year. Specific study of each installation (collection of water samples, inspection of materials, operating conditions, etc.). Preparation of analytical studies, drawing of plans, studies of amortization, etc. Proposals for improvement, implementation of automatic control equipment, energy studies, etc. Preparation of offers and treatment projects. Carrying out work with own personnel.